From the moment you enter the grounds, the magnificence of Wölffer Estate Stables is evident. It is a place of tranquility and beauty, a haven for horses and riders alike, with a marble fountain and cobblestone courtyard. What began with the acquisition of 14 acres of potato farms in 1979 has grown into one hundred acres of first-class horse facilities. When Christian Wölffer first bought the property, all that stood was a small farmhouse and some barns. Soon after, Christian built a six-stall horse barn for his daughters, Joanna and Georgina, who learned to ride before they could walk. Christian acquired more land and further expanded the barns. 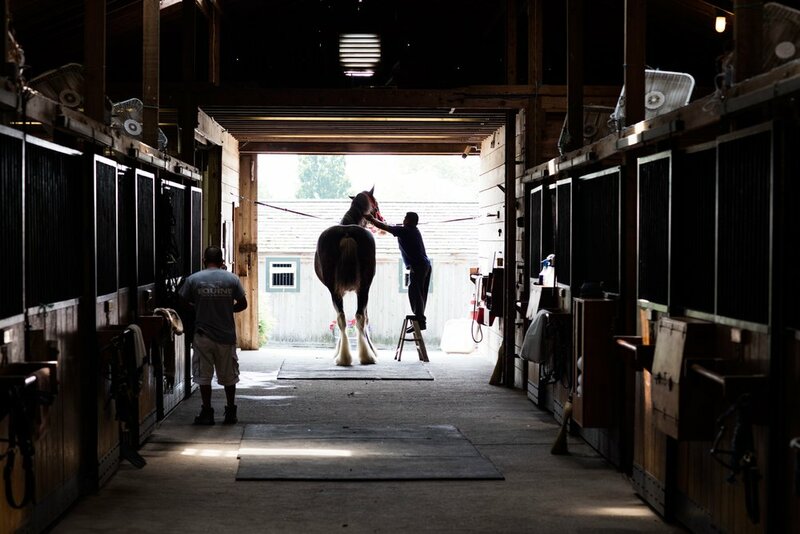 After petitioning the Town of Southampton for a law to allow the building of an indoor riding ring, Christian seized the opportunity to grow his facility. Wölffer Estate Stables has since become one of the premier riding facilities for hunters, jumpers and dressage. Today the stables have more than 80 stalls, 39 individual paddocks, four state-of-the-art riding rings, a totally resurfaced Olympic-size dressage ring, and a Grand Prix field with natural and traditional jumps.